My Liberated Sampler is complete! As I mentioned in my original post, I decided to make a small sampler of "liberated" or "wonky" quilt blocks as an example of a specific type of modern quilting for a presentation I'm giving next week. 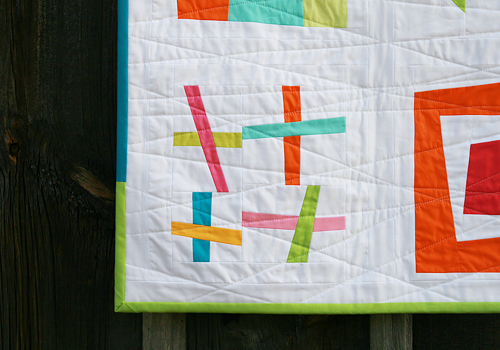 I think the final quilt came pretty darn close to the Photoshop mockup I created. This wonky churn dash is one of my favorites. 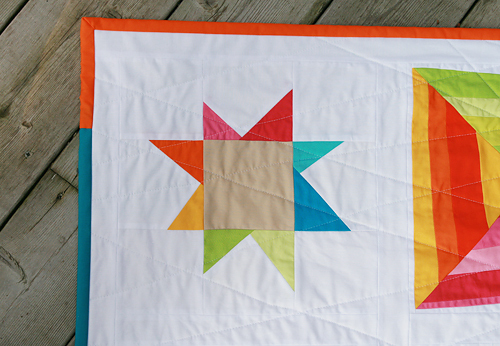 I have received a lot of comments and emails about this quilt in the last week, most asking for a pattern. Well...I don't have a pattern - at least not at the moment. It is something I am considering, but I just made these blocks up as I went. But I don't want to leave you all with nothing, so I did some Googling (is that a word?) and have some tutorial links for you. 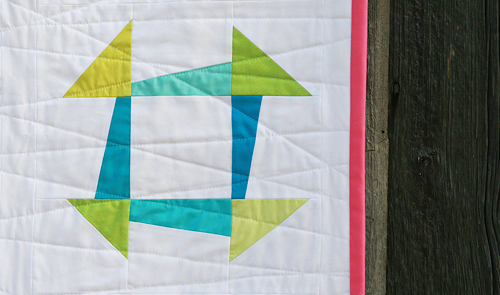 I decided to quilt my sampler using randomly angled horizontal lines. I think it put a nice finishing touch on the quilt. The binding is scrappy. 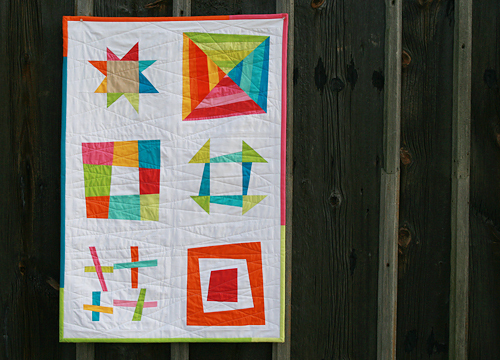 If you make your own liberated sampler, I'd love to see it in the Fresh Lemons Quilts group on Flickr.